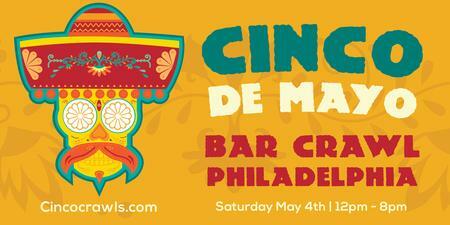 Are you ready for the Biggest Cinco De Mayo Event EVER in Philadelphia?! Last year we had great success with over 20 bars and 10,000+ crawlers! This year we’re trying to double that making this the Largest Bar Crawls in Philadelphia History!! Locations could include: Field House, The Gaslight, Tavern on Broad, Cavanaugh’s All Locations including The Riverdeck, JJ Bootleggers, Ladder 15, Wrap Shack, Lucha Cartel, National Mechanics, City Taphouse and MANY MORE!